c. French Corporation has no-par common; no stated value has been assigned. b. 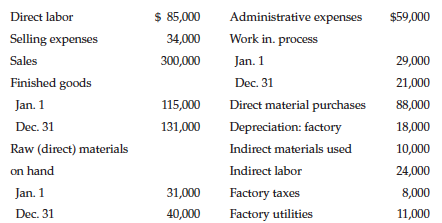 Prepare an income statement for the current year ended December 31. 1) Does it appear that the company pays commissions to its sales staff? Explain.